Since our founding in 2015, organizations from around the world have trusted our tools and services to help them collect and store their sensitive information about land and resource rights. Create transparent agribusiness value chains. Click through our map to learn more about our partners and how they are using Cadasta’s tools and services to achieve their goals. Click here to read all of the partner reviews. Aso Manos Negra, The Association for the Defense of the Environment and Black Culture, is a female run non-profit organization that was founded in 1996 to promote the economic and environmental sustainability of Afro-Colombians across Colombia, with special focus on the Pacific region. Badabon Sangho is a women led non-profit organization founded in 2015 by a group of single women in the southwest region of Bangladesh. Their mission as an organization is to build the capacity of disadvantaged, vulnerable, and socially excluded women and girls, towards improving their livelihoods and addressing other socio-economic issues using participatory approaches. Daemeter is a leading independent consulting firm that promotes sustainable development through responsible and equitable management of natural resources, particularly in Asia’s emerging economies. The Fundação Iniciativa para Terras Comunitárias (iTC-F) is a Mozambican non-profit that works to support the efforts of the Government of Mozambique in the implementation of the National Land Law, which enables the leasehold of land for productive purposes to individuals and private entities while also recognizing the customary rights of rural communities. Justice and Empowerment Initiatives (JEI) is a non-profit, non-governmental organization that supports the Nigerian Slum / Informal Settlement Federation (Federation) to empower poor and marginalized individuals and communities to lead the changes that they would like to see in their own communities. The Kosovo Cadastral Agency (KCA) is the highest authority of Cadastre, Geodesy, and Cartography in Kosovo and was established by UN-Habitat in 2000 and works under the Ministry of Environment and Spatial Planning. The KCA works to implement an Information System of Land and Cadastre as well as Registry of Immovable Property Rights in Kosovo. Landesa is a non-profit organization that partners with governments and local organizations to secure legal land rights for the world’s poorest families. Namati is a non-profit organization that is dedicated to strengthening people’s capacity to exercise and defend their rights. Namati trains and deploys grassroots legal advocates who work with communities to advance fundamental rights such as citizenship recognition, land tenure, and access to quality health care. 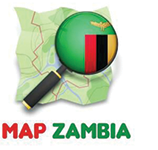 OpenStreetMap (OSM) Zambia is a non-profit mapping organisation that works with communities to collect geo-spatial data to create an open, free-to-use map of Zambia. Princeton University is a private Ivy League research university located in Princeton, New Jersey, United States. Seed Change is a Tanzania based non-profit organization that works with smallholder farmers to reduce poverty through increased sustainable agricultural production. Since its inception, Tata Trusts have played a pioneering role in catalysing social development and philanthropy to make a real difference to communities. Uttaran is a non-profit organization based in Dhaka, Bangladesh that uses a rights based approach to empower poor communities and reduce poverty.